Microsoft announced Wednesday that Azure, technically a cloud-based IaaS (infrastructure as a service) platform, will host not only Windows Azure but provide images for a number of Linux variants as well, namely SuSE, CentOS, Red Hat and Ubuntu. Microsoft had originally seemed sold on a PaaS (platform as a service) model with Windows Azure in mind, but it appears the software maker has warmed up to Linux in order to offer greater platform diversity -- a move which may help keep Azure a favorite amongst developers and others who require such services. Earlier this year, ZDNet pointed out that getting Linux on Azure was an enormously popular request made, in particular, by big businesses. Although Microsoft has reasons for its close ties to SuSE, adding Ubuntu to the list was an interesting surprise. Shortly after Microsoft's Azure announcement, Ubuntu's commercial partner Canonical followed up on their blog which spelled out the Canonical-Microsoft partnership. We’re announcing today that you can obtain and launch Official Ubuntu Images from Canonical on Windows Azure. Windows Azure is a Platform as a Service (PaaS) from Microsoft that now includes the ability to manage individual virtual machines so that you can fully customize and control the infrastructure behind your cloud instances. Many developers and IT shops use both Ubuntu and Windows and as workloads migrate to the cloud, the case for making Ubuntu available on Windows Azure became even more compelling. Canonical and Microsoft worked together to ensure that Ubuntu, the leading operating system for the Cloud is tested, certified and enterprise ready from the start. 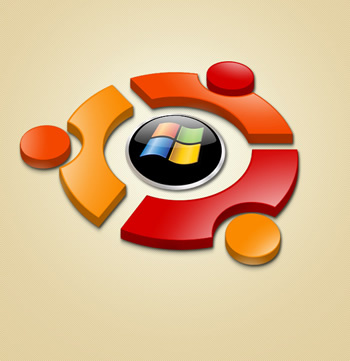 Despite their obvious differences, some of which are outlined in Ubuntu's infamously symbolic Bug #1, Canonical seems happy to embrace Microsoft's Azure and commends the company for being open enough to make the partnership possible. Mark Shuttleworth, founder of Ubuntu, also thinks highly of Ubuntu's newfound camaraderie calling the partnership a "good fit for both of us" and describing Azure as "impressive". Although Microsoft will be offering Linux-based options, there does exist a single snag: the company is not expected to provide technical support for Linux images. However, as one of the perks to the partnership, Canonical is working with Microsoft in order to ensure Ubuntu is afforded a full range of support options.